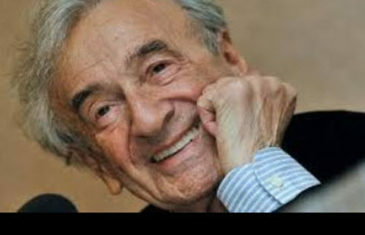 Remembering Jews who passed in 2018 including Bernard Lewis, Philip Roth, Charles Krauthammer, Neil Simon, Howard Sachar, Rabbi Rachel Cowan, Rabbi Aaron Panken, Herb London, Harvey Kaylie, Ari Fuld and 11 members of Tree of Life Synagogue in Pittsburgh. 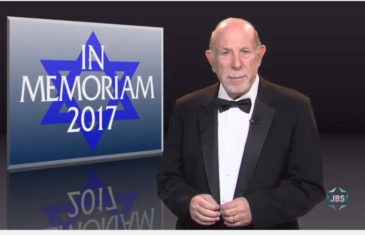 Remembering Jews who passed in 2017 including Nat Hentoff, Yevgeny Yevtushenko, Shalamit Cohen-Kishik, Marshall Loeb, Jerry Gottesman, Irwin Corey, Monte Hall, Bill Dana, Shelly Berman, Roberta Peters, Don Rickles, Martin Landau and Jerry Lewis . 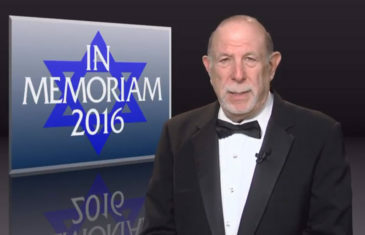 Mark S. Golub pays tribute to the Jewish luminaries we lost this year, whose memories will forever be a blessing. 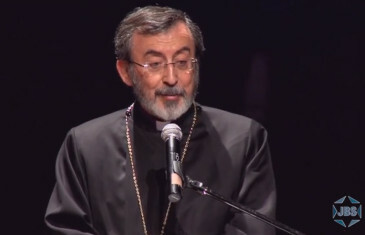 JBS presents a ceremony commemorating the Centennial of the Armenian Genocide hosted by Robert Morgenthau and featuring Armenian Archbishop Khaja Barsamian, and the president of the Carnegie Corporation Armenian-American Vartan Gregorian. 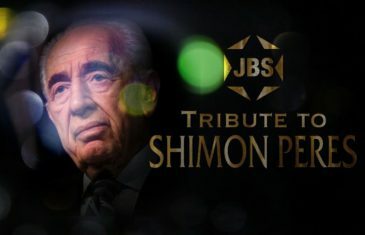 From the Museum of Jewish Heritage – A Living Memorial To The Holocaust. 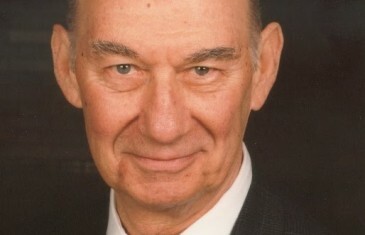 Yitz Greenberg and David Ellenson join Mark S. Golub in tribute to an iconic thinker and theologian Rabbi Dr. Eugene B. Borowitz, who helped shape the philosophy of modern liberal Judaism while influencing a generation of Reform rabbis at HUC-JIR in NY. 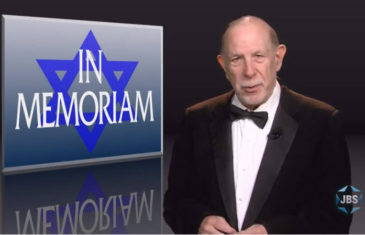 A moment of memory devoted to major Jewish figures who passed away in 2011, from leading rabbis and educators to scientists, authors, and movie stars who had strong Jewish identities.